Discover the nature of art. The Algonquin Art Centre is open every day from 10 am – 5 pm from June 1st until mid-October. 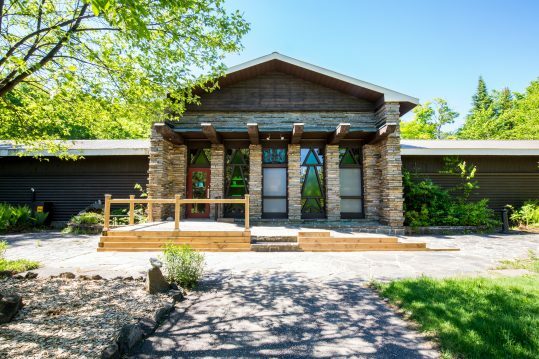 The Algonquin Art Centre is located on the shores of Found Lake in beautiful Algonquin Provincial Park. The entrance is at Km 20 inside the Park (20 km from the west gate). There’s ample parking out front and accessible parking available behind the facility. Gallery admission is voluntary, but a valid Ontario Parks permit is required to visit the Centre. Park Permits are available at the West Gate and East Gate entrances to Algonquin Park. 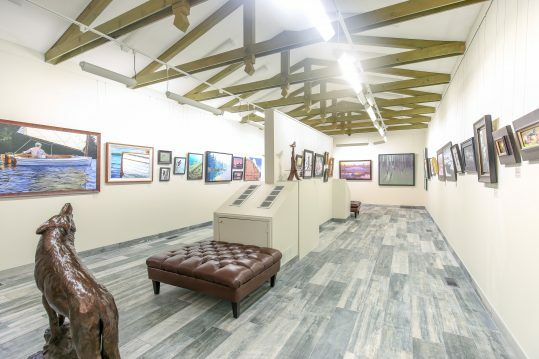 The gallery has three wings of landscape and wildlife art inspired by Canada’s wilderness areas. See the newest works from Canada’s foremost painters, sculptors, and carvers. For information on this year’s exhibits, please click HERE. 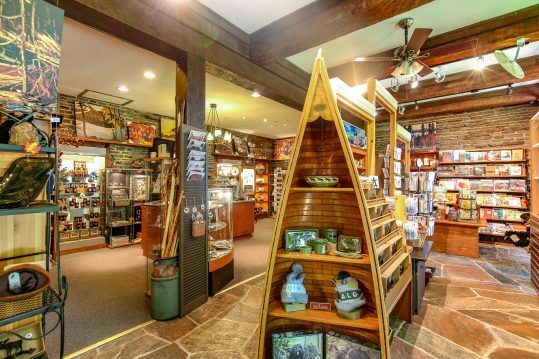 Our famous boutique offers a wide variety of Canadian-made gifts and souvenirs, from local pottery to hand-crafted jewelry to prints, books, clothes, and more. 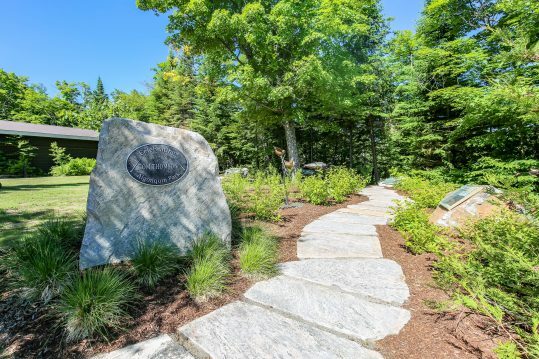 Learn about the life and art of Algonquin Park’s (and Canada’s) most famous painter, Tom Thomson, on our legacy path, located right in front of the gallery. During July and August, our studio is open to the public from 10 am to 4 pm. Visitors and families can participate in one of our many SUMMER ART CLASSES, or simply swing by, purchase art supplies and create your own work under the guidance of our studio staff. The Studio also sells coffee, tea, and snacks.